The first total solar eclipse over the continental United States in 38 years will be visible south of Indianapolis in Illinois and Kentucky on August 21, but Indianapolis residents will still get to see a 91 percent partial eclipse, Associate Director of Butler University’s Holcomb Observatory and Planetarium Rick Brown says. And the best place to see the eclipse locally? Probably your own back yard. The partial eclipse—which occurs when the moon passes directly between the sun and earth—will be visible in Indianapolis beginning at 12:57 PM and will end at 3:48 PM, reaching its maximum blockage at 2:24 PM when the moon will block approximately 91 percent of the sun. The total solar eclipse begins in Oregon and moves eastward along an arching path that includes Kansas City, St. Louis, Nashville, and Charleston, South Carolina. During a total solar eclipse, the corona of the sun—the gas that surrounds the sun—is visible, Brown said. Normally, it can’t be seen because the sunlight is too bright. Brown said that the Holcomb Observatory and Planetarium will be closed on August 21. Staff members will be heading south to get the best possible view of the total eclipse. 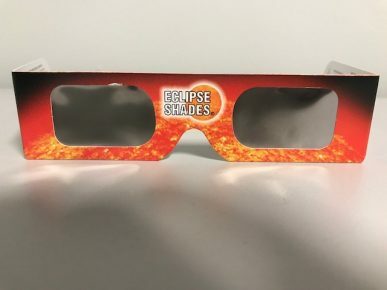 Special glasses to view the eclipse are for sale for $2 each at the Holcomb Observatory during weekend hours, which begin at 8:15 PM. For more information, visit https://www.butler.edu/holcomb-observatory. 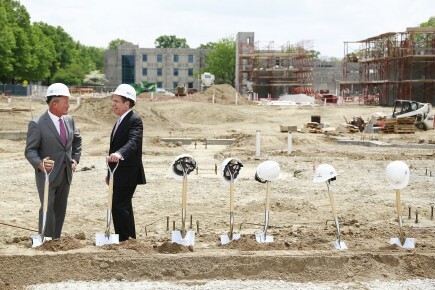 Butler University officially broke ground on Friday, May 8, on Sunset Student Residences, a state-of-the-art, 633-bed sophomore residence hall that will substantially modernize and update Butler’s housing options. 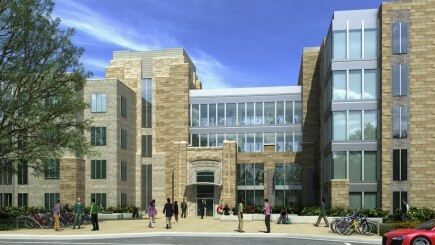 The $40 million building, which will open in August 2016, will span from Butler Way to Blue Ridge Road along Sunset Avenue, in what previously had been a parking lot. “The most important part of this project is the improvement of our housing stock," President James M. Danko said. "Now, housing is going to be an extra added attraction to go along with world-class education." 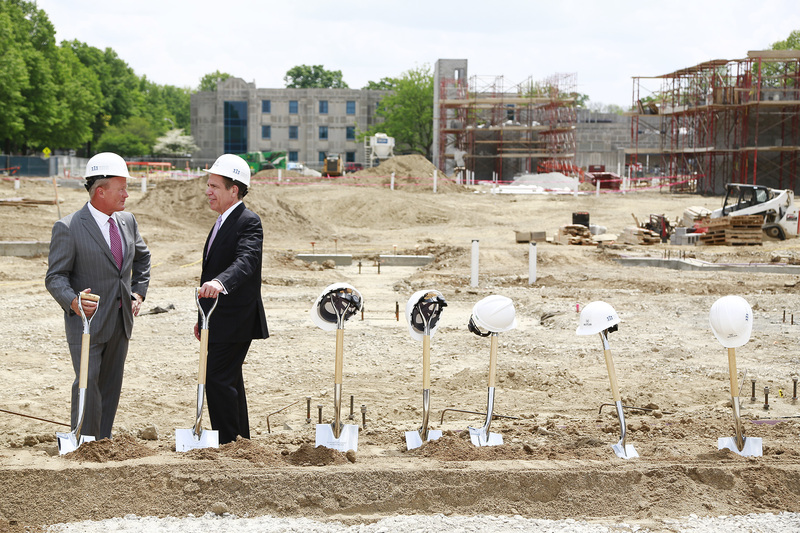 The new residence is the result of a partnership between Butler University and American Campus Communities. Under the agreement, American Campus will build and maintain the facility, while Butler will provide staff to manage the building. Sunset Student Residences will feature rooms set up in pods of three to four bedrooms, with no more than two students in any room. Each room, which shared, is configured to have a divider to provide more privacy. There will be a bathroom for every bedroom, and each student will have his or her own vanity and sink. In addition, each suite will have a kitchenette and furnished living room area. In addition, the facility will have a large multipurpose room that is being described as “a living room for the campus.” The room will be used for conferences, events, and other gatherings, as well as studying. Other amenities will include a fireplace and social lounge in the connecting area between the two buildings, an outdoor kitchen and barbecue, a lounge on each floor (some for recreation, some for study), and a small cardio-fitness center. This effort represents the first phase of a comprehensive student housing master plan that will address the University’s overall housing inventory. 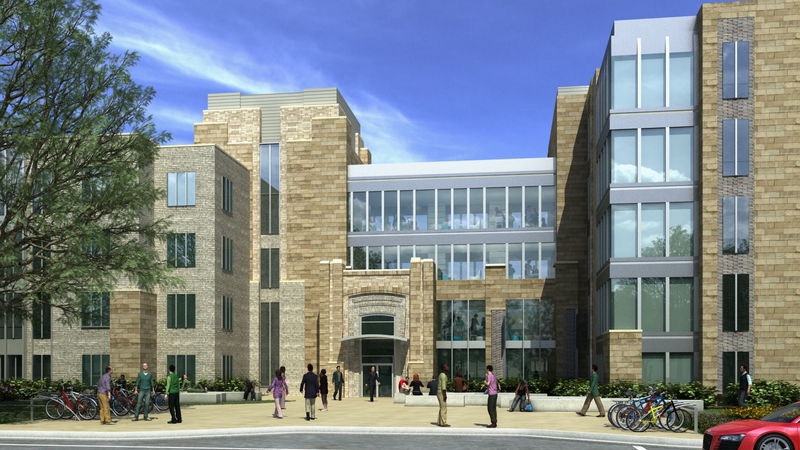 The scope of the master planning process encompasses the renovation or redevelopment of approximately 1,200-1,500 student beds and related student amenity space in Ross Hall, Schwitzer Hall, and Residential College. “American Campus Communities brings an enormous amount of experience and vision to our partnership,” Danko said. 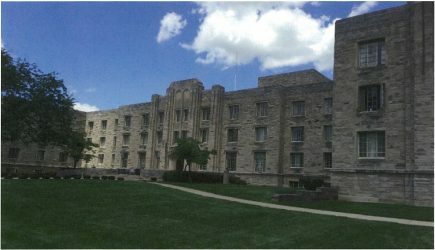 By establishing a long-term partnership with American Campus, Butler will be able to dramatically upgrade its housing options, while maintaining the financial flexibility needed to invest in future academic facilities. American Campus Communities President and CEO Bill Bayless praised Butler's leadership for its efforts. "With your vision and your leadership and the commitment to quality and doing things right that you all have brought to this process, we're honored to be your partner," he said. "Our only goal will be to exceed every expectation that you and your students have for this facility." American Campus Communities––the nation’s largest developer, owner, and manager of high-quality student housing communities––has completed similar projects at more than 40 universities, including Princeton, the University of Southern California, Texas A&M, and Arizona State. Examples of their work can be seen at http://www.americancampus.com. Since 1996, American Campus has developed more than $4.3 billion in properties and acquired more than $4.8 billion in student housing assets. The company has been awarded the development of more than 70 on-campus projects, in addition to 26 projects developed off campus. 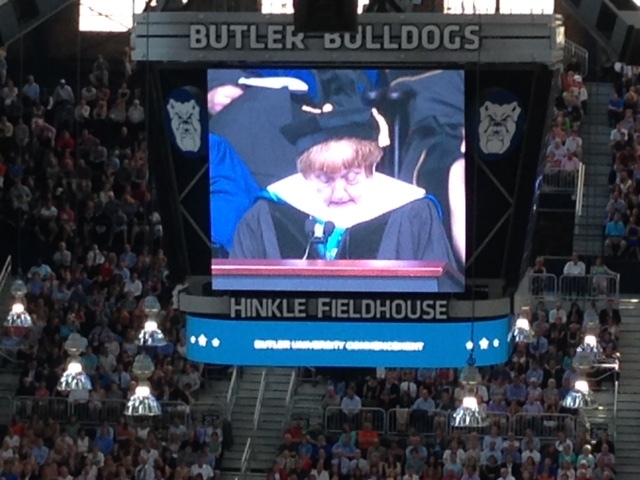 Holocaust survivor Eva Kor advised Butler University’s Class of 2015 on Saturday, May 9, that they should never give up on themselves or their dreams. In her mind, she said, she pictured how they would look when they finally walked out of the camp. “But I refused to die,” said Kor, who runs CANDLES (Children of Auschwitz Nazi Deadly Lab Experiments Survivors) Holocaust Museum and Education Center in Terre Haute, Indiana. “Fifty years of pain was lifted from my shoulders,” she said. Kor also urged the parents of the graduates to “give their children an extra hug and kiss for all the children who have no parents to hug and kiss.” With that, her son Alex, a 1983 Butler graduate, walked over and hugged her. 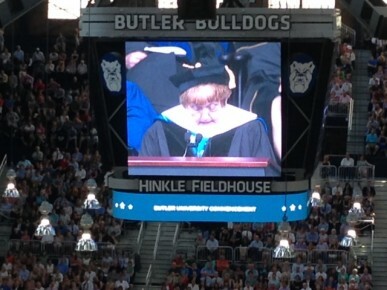 Kor and longtime Butler benefactor Jean T. Wildman each received honorary doctorates. Wildman, in brief remarks, said that “never in my wildest dreams did I expect to be standing here.” She said she was delighted to have watched Butler grow from a couple of buildings into what it is today. The newest Butler graduates include 222 from the College of Liberal Arts and Sciences, 220 from the College of Business, 203 from the College of Pharmacy and Health Sciences, 96 from the College of Communication, 85 from the College of Education, and 88 from the Jordan College of the Arts. Abdul-Rahman Peter Kassig, who was murdered by ISIS on November 16, 2014, was awarded a degree posthumously. His parents, Ed and Paula, accepted the diploma on his behalf and received a standing ovation. The faculty speaker, College of Business Associate Professor of Management Craig Caldwell, told the graduates that money and possessions are not the key to happiness, and he urged them to have empathy and take care of their community. Class of 2016 President William Grabb described his fellow graduates as “motivated, passionate, and hard-working” students who earned this day.